An non-ergonomic computer mouse puts undue stress on your forearm. Your arm sort of twists when using it. So, unknowingly, you've twisted your arm to adjust yourself to the mouse. Ergonomics is all about keeping your body posture as natural and efficient as possible and ergonomic design is about designing tools to fit us, not us to fit them. 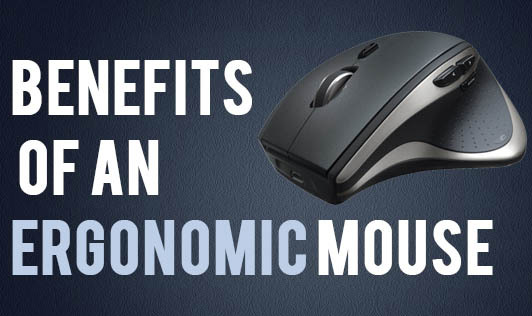 An ergonomic computer mouse adapts to our natural position. 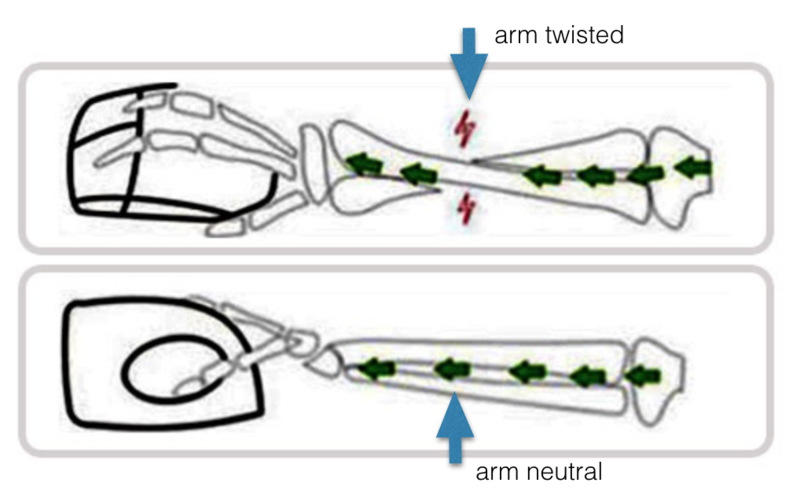 An ordinary computer causes us to tense our fingers around the mouse to control it. For instance how much more effort would you take to walk across a slippery floor? Notice how much your body tenses up to control your movements? This is similar. An ergonomic mouse takes into account these details. When you choose an ergonomic computer mouse that is the right shape and size for your hand, it results in a more natural and easier grip and hold. This eases the tendon and muscle fatigue in your hand, elbow, and arm. Buying the mouse that is the right size for your hand, supports your hand. Assumes the natural position of your wrists even when working; using your ergonomic computer mouse does not require you to twist your forearm.